25 kg & 50 kg HDPE bags with inner liner , palletized. 1000 Kg & 500 Kg jumbo packing. Mundra port, Pipavav port Gujarat. 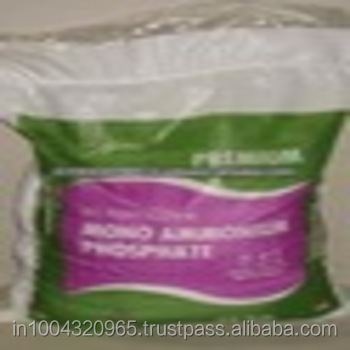 Mono Ammonium Phosphate is Water Soluble N – P Fertilizer contributing nitrogen 12 % and phosphorus 61%. It provides nitrogen and phosphorus to plants at all growth stages, in hydroponic as well as soil grown crops. It is free from chlorine, sodium and heavy metals. It is suitable for all fertigation systems through drip irrigation, NFT, Sprinklers.